I'm not sure how successful a choice that was, since I think it makes the whole thing look sickly rather than energized. There was also a great brickwork pattern in the actual building that I think I made too subtle in the painting... in fact it hardly shows up at all in the reward kit postcard. Maybe I'll go back and tweak this one after I've pumped out a few more Searses. I know everyone had said to check out the Sears in downtown M-polis, but that just didn't work out. We rose bright and early in our pal Tony's childhood home (still his parents' home), mailed the first batch of $5 postcard rewards (btw, if yours didn't show up last fall, let me know because I have some extras), and then our plan was to bop into the nearest Sears with an Auto Center for a quick tail light replacement before heading downtown (by the end of the trip, every head and tail light had gone out at least once. We drove all night through Arkansas wondering why it was such a dark state...). Instead, they found a nail in the tire and by the time we got out of there the sunlight was fading and we decided to push on to Chicago. What an amazing story we're telling in a totally coherent and non-rambling way! A shame the battery cut out. Shortened version: we'd had good luck till that point on the trip with just rolling up somewhere and finding a motel. But we had no idea it was the weekend of the Chicago marathon, so every place on the way into the city was either full, or full of second-hand smoke, or full of prostitutes and Johns, or had chairs instead of beds (at 3:00 am we gave up and settled for that last one). Our time in Chicago should have been Sears Central, but we were both sick and tired, the weather was gross, and the Sears fates just weren't having it. 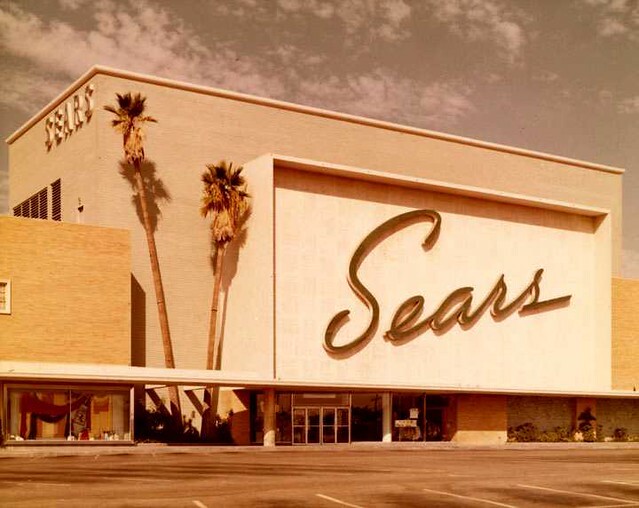 The one Sears we managed to see, off in the suburbs, was disappointing at best. So we packed it in, splurged on a fancy hotel, got pho, and watched a terrible movie called The Hobbit on HBO. The next day was nicer and we were less sick, so we checked out the Museum of the Art Institute of Chicago. Erin explored the miniatures wing cause that's her bag, and I checked out some rad landscapes (radscapes). Going into the trip I had been worried that my idea of collecting reference and then working on the paintings later in the studio (versus standing in mall parking lots with an easel) was somehow, I don't know, inauthentic. I was surprised to learn that this was a common practice, especially among painters working with winter scenes. So this whole Sears endeavor is slightly less insane that I first thought. Steve Nester, Andrew Bleiman, and 3 more people like this update.